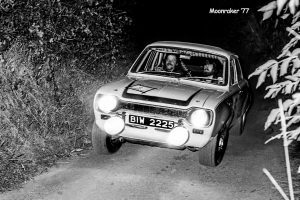 Regulations are now available for the 2017 Moonraker Rally in the side panel. The format for this year’s event will be similar to that of our popular Snowdrop Rally, back in March. The navigation instructions will be relatively simple to help the navigators, and there will be a number of selective tests during the evening, held on private property. This format was very well received earlier in the year, and it should prove to be a great night of fun. Get your entry in early so we can proceed with confidence to put the event together. Roy Alcorn and Peter Scott were winners of the 1977 Moonraker in their RS1600. Photo: Bryce Sands. 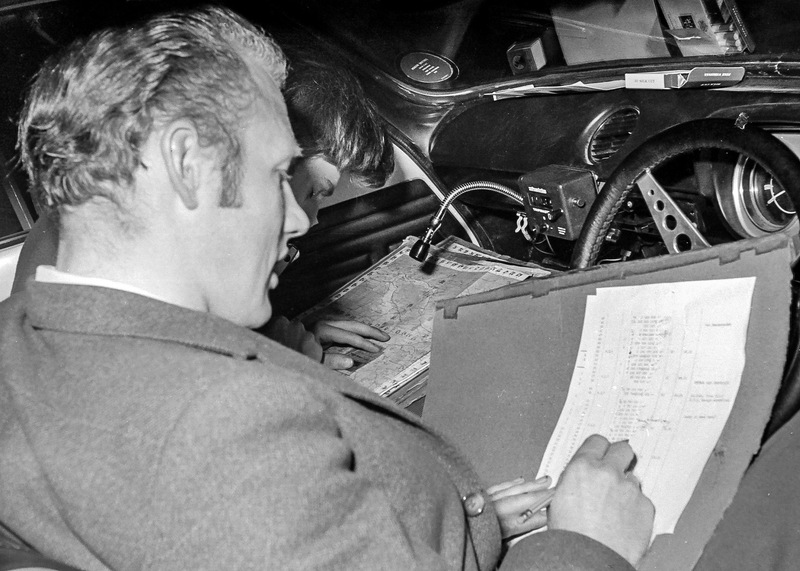 Jimmy Conlon reads out the map references for Peter Scott to plot on another Moonraker Rally. Photo B Sands. An account of the 1974 Moonraker from the Belfast telegraph.